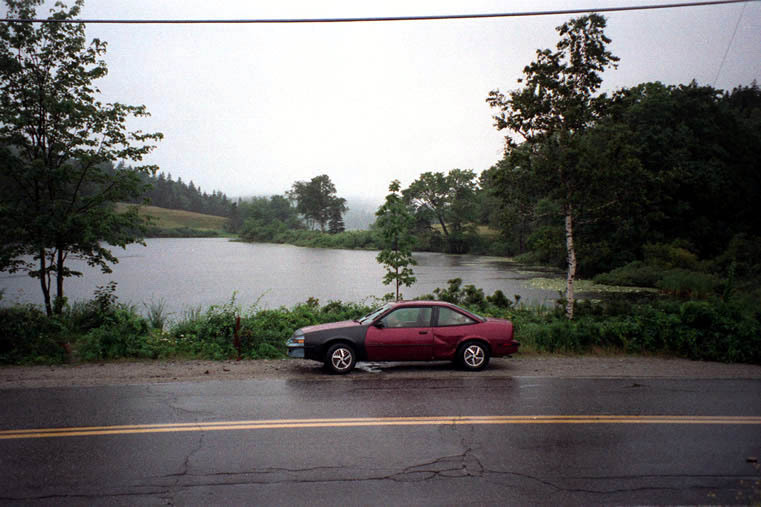 This dented car carried us loyally over thousands of miles along the east coast of the United States. You have to be at least 21 years of age if you wish to rent a car in North America. As none of us had that age in 1996 we really had a problem. We even went to "Rent a Wreck" in Boston but nobody wanted rent us anything for a reasonable price. Luckily the uncle of a friend helped us out. He gave us this Pontiac Sunbird for over one month and even bought brand new tires. As far as I remember the Pontiac stood in his backyard. After a terrible accident he reasonably repaired the car but left it unused in the garden for some time. I must admit that I was not sure if the Pontiac would survive the long road from Boston to Key West. Nevertheless he never let us down and carried us thousands of miles. I really again have to say thanks to uncle Stevie for his generous help!